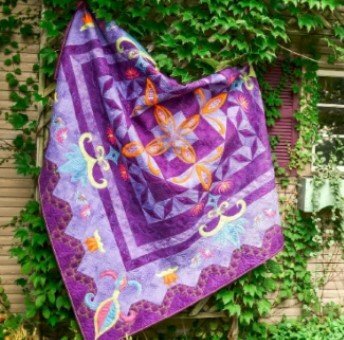 Welcome to 2019 Hoopsisters Embroiderblock of the Month - Fleur De Lis. This class will be 7 sessions. Session 1 - Feb. 11 will be a time to review the pro-gram, a question & answer time and we will go fabric shop-ping at the Cotton Gin. There will be no need to bring a sewing machine. Session 2-7 will be sewing. Each month you will receive your files for that month and instructions for the block to work on in class. There are 5 monthly files and the last session will be for assembly. Class dates are 2/11, 2/25, 3/25, 4/29, 6/3, 7/1 & 7/29 at 9:30-12:30.